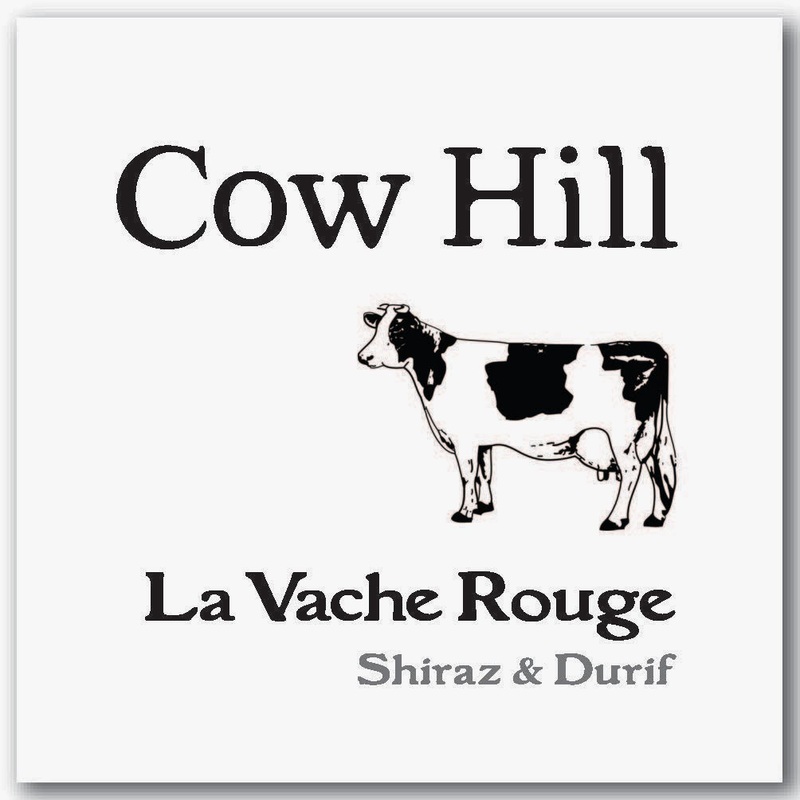 Cow Hill wines are our other label. From time to time we buy grapes from our neighbours to make a less serious range of wines. We aim to make them more approachable and slightly less expensive than our Oxenbury Vineyard wines. Normally, they are more full of flavour, and more fun, but they do tend to age well for at least a few years (5 years for the reds at least). We live on a hill which rises 70m in altitude from our front gate. 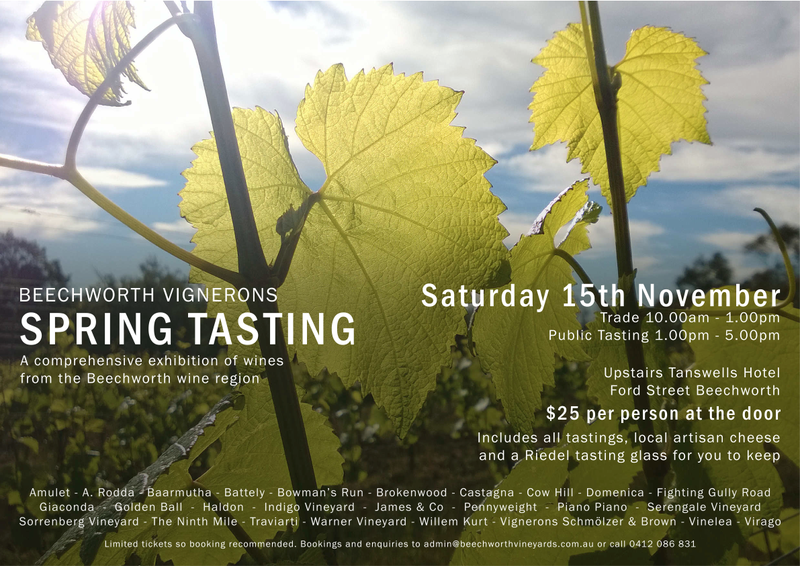 The GI of Beechworth is basically defined as the hill-side wine growing area, so my neighbour, whose vineyard I can see from my kitchen window, but who literally lives on the wrong side of the tracks has a vineyard in the King Valley. 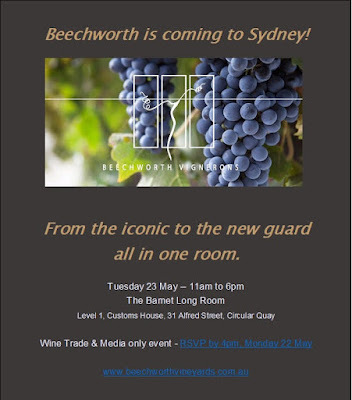 My neighbour on the other side is right in the middle of the Beechworth GI. This wine, which is a blend from both vineyards is fresh, but still quite well bodied. At the moment, the blackberry flavours are the strongest, but with time, more of the spice, beef stock and eventually the coffee and leather flavours will emerge. That same process is starting to happen now as you let the wine slowly open up during dinner. 2011 was quite a cool year for us, and this wine is not from the really warm areas like Rutherglen, so don't expect a viscous, treacly durif. The wine is solid and structured enough, but more elegantly balanced. It's a pretty versatile red, probably best suited to roasts (beef or chicken) BBQs, pizza or cheese. Perhaps BBQ lamb chops with grilled eggplant and plenty of rosemary and garlic. Click here to order our wines.